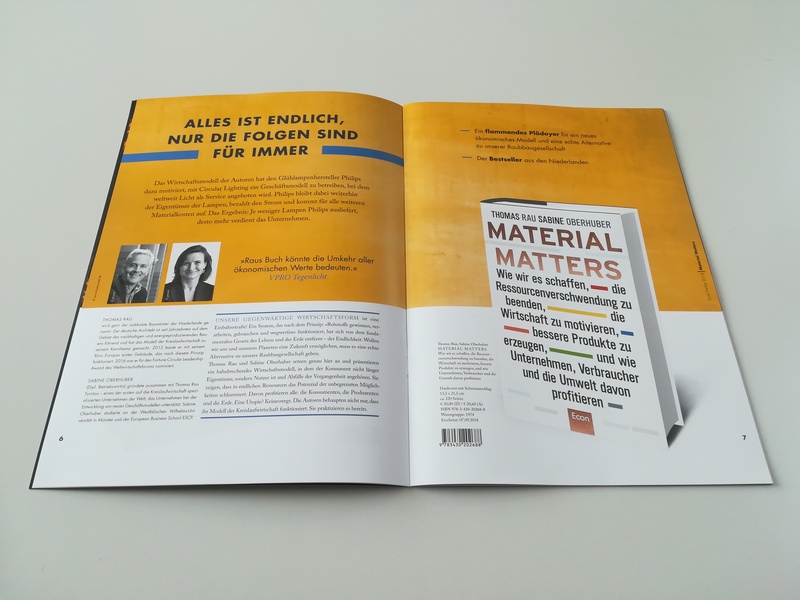 “Material Matters” now available in German! Material Matters, the book by Thomas Rau and Sabine Oberhuber will be published is now available in German language. In nine chapters full of appealing examples, Thomas Rau and Sabine Oberhuber will lead you step by step towards a new economic model. A world in which the consumer is no longer ‘owner’ but ‘user’, materials are given rights and waste is a thing of the past.